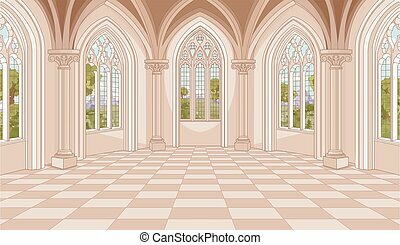 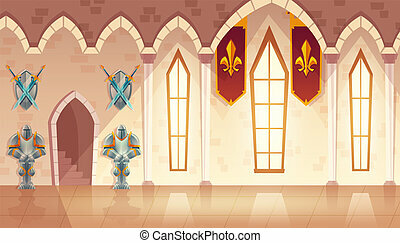 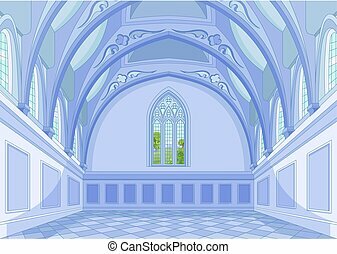 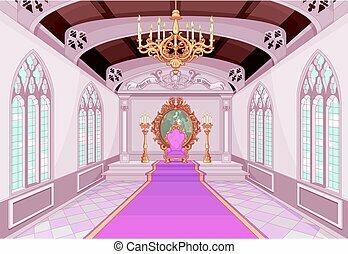 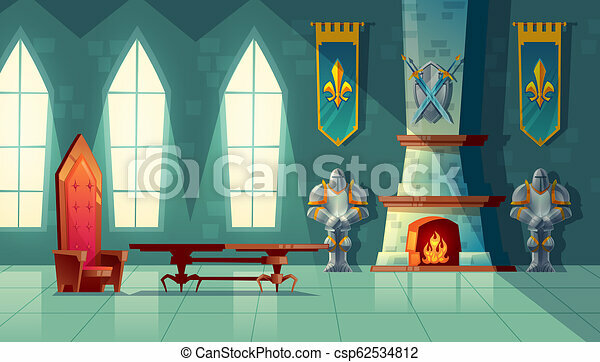 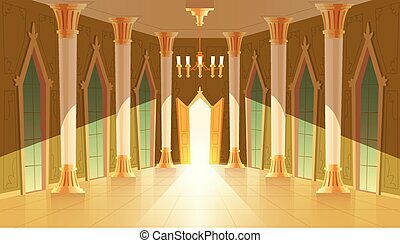 Castle hall, interior of royal ballroom with throne, table, fireplace and knight armor. 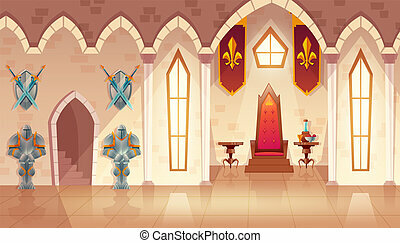 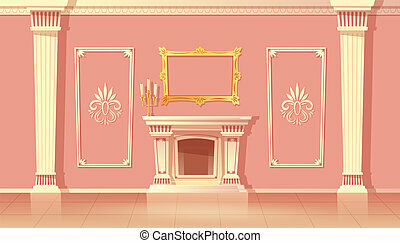 luxury furniture in medieval palace. 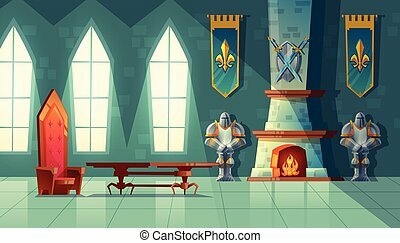 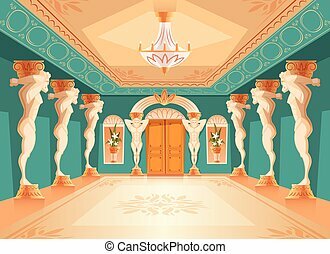 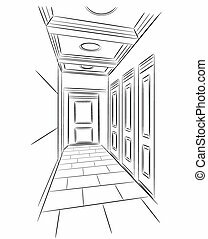 fantasy, fairy tale or game background. 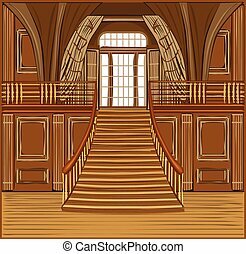 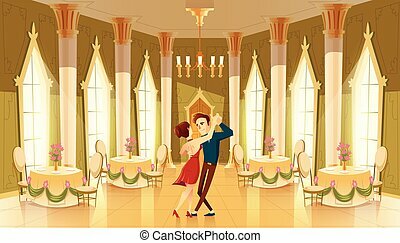 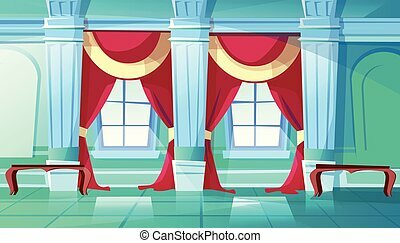 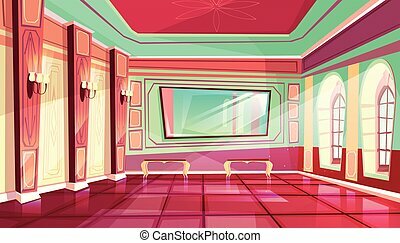 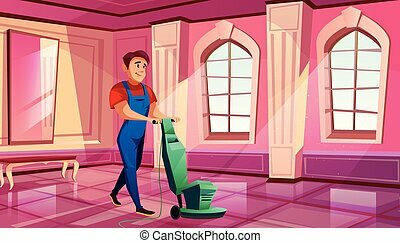 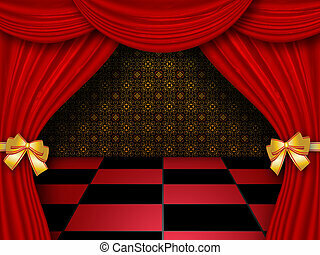 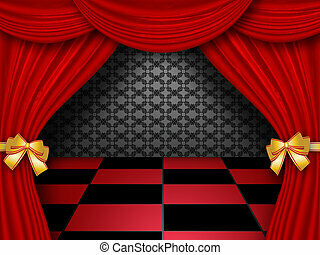 Illustration of royal hall with red curtains and checkered tiles background. 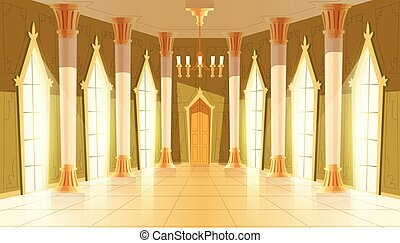 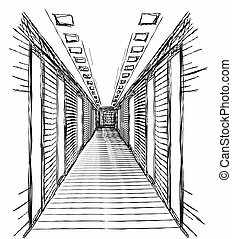 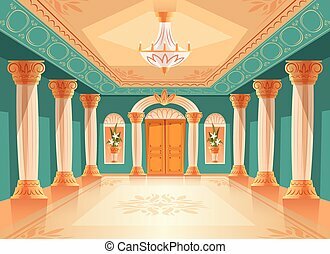 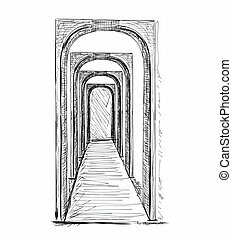 Vector dancing hall with atlas pillars. 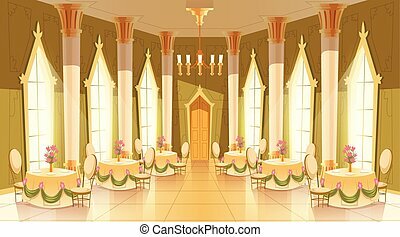 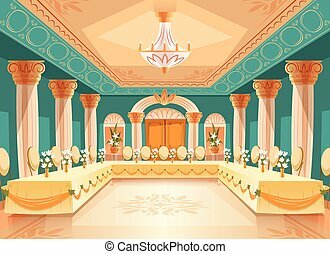 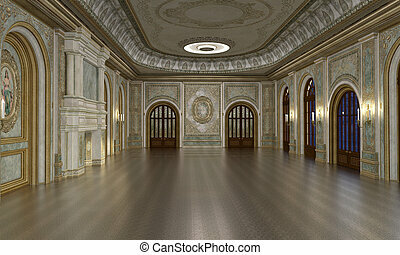 Interior of ballroom with titan, atlant columns for dancing, presentation or royal reception. 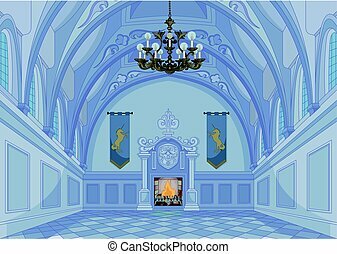 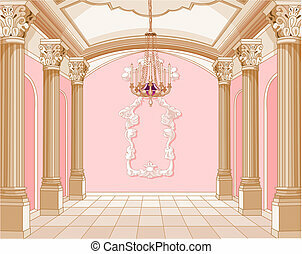 Big room with chandelier in luxury medieval palace.